uTrader is a relatively new broker based in the EU which provides a high level of service, daily analytics, and also has a convenient trading platform from the leading developer – SpotOption. Binary options broker uTrader has a large “Education” section, which includes unique articles, electronic textbooks, terminology and educational videos – all this made for a more efficient self-learning trading process for beginners. Speaking about the first impression, then uTrader has pretty user-friendly website with in-built modern trading platform, everyday economic news which can help you earn money by using fundamental asset analysis and also everyday market review which help you to make more accurate prediction on currency pair movements. uTrader focuses mainly on the Eastern European market with Russia being the biggest, followed by Poland, former Soviet Republics, but broker has also a strong presence in the United Kingdom, Canada, Australia and Middle East. Besides uTrader on many reputable financial website ratings made by professional traders bypasses all the competitors and is always kept in the Top 10. Below we have provided an in-depth uTrader review, where we will look at their trading platform, availability of the assets, bonuses and promos, service quality and repost comments about the broker which were made on other websites and blogs. Broker uTrader appeared on the market of binary options in 2011, and was opened by Day Dream Investments Ltd. The company headquarter is located in the capital of Latvia, Riga, with offices in Ukraine, Cyprus and Kazakhstan. uTrader positions itself as the first binary options broker on the Russian market, which was launched by professionals from different sectors – traders, bankers, businessmen and IT-specialists. uTrader has a license (RU 0395 AA Vv0090) from the financial institution CROFR that protects clients’ personal funds and regulates brokers services, and apart from CROFR uTrader is in the process of acquiring license from CySEC. The broker is known in Europe as one of the fastest growing companies for trading binary options. uTrader always highlights its exclusive attention to every client, as one of their biggest priorities is high quality service to all of the customers. More than 250,000 traders trust this broker all over the world, which shows that uTrader is a serious representative in the industry of binary options. The structure of the trading platform at uTrader stands out among other brokers, despite the fact that it is available online through the web browser. Firstly, it is worth mentioning that each trader can customize the workspace based on his preferences. Every trader can choose the trade menu visualisation, either as a list of two assets with graphs, or the list of all assets with their prices, but without graphs. Another very comfortable option is where all assets are given in the table with their prices, and trader has only two well-known buttons “CALL” and “PUT”. uTrader offers binary options trading like “above / below”, “touch”, pairs, long-term, and popular high-yield turbo options with expiration time of 30-300 seconds, showing that the broker has taken the interests of all categories of binary options traders into account. We believe that many additional features presented by this broker, such as “Rollover” (extension of expiration), “doubling” (ie the increase in the price of the option, through the co-pay), and early closure of the option to reduce the risk or loss, gives a good opportunity to earn more money for professional traders. *Note! In the video they presented the first version of the SpotOption platform, but uTrader is currently using SpotOption 2.0, which is more practical and has better interface, but functionality is more or less the same. Trading platform was developed by the leading financial platform provider in the world, SpotOption. Last year they were awarded “Best Binary Options Platform Provider” by reputable financial magazine “Finance Magnates”, which shows that uTrader is willing to provide traders with the best available products in the industry. To open an account with uTrader, you must fill out the simple form on the home page, then on the next page fill out the additional information in order to get full access to the trading platform. After registration you will be able to participate in webinars, read daily analysis, and watch educational videos, as well as to download two books about trading on binary options. You can make a deposit by credit/debit cards, Skrill, Neteller, WebMoney, OKPay or through a payment aggregator MoneyNet International which has low and competitive exchange rates. Such big variety of payment methods shows that uTrader really cares about new clients, and by partnering with MoneyNet you can deposit money from your bank account of any currency, as they ensure the best rates available and will charge only small exchange commission. Also, it is important to note that we tested how long it takes to make a deposit/withdrawal with uTrader: deposit process is usually immediate, especially if you are using eWallets like Skrill/Neteller, and withdrawal takes no longer than 48 hours! In order to make a deposit you need to verify your account. This could be done by sending a photocopy of your passport and sometimes security department will request you to send the latest utility bill to confirm your address. Also, if you want to deposit using your bank card, then you will have to send a picture of your card (you can cover some numbers as well as CVV code). Don’t be scared or upset as this is usual procedure of the reputable brokers and other financial companies who have to be compliant with regulatory bodies requirements. You can open account with uTrader in the following currencies: GBP, USD, EUR and RUB. Minimum deposit is $200 whereas the minimum size of investment depends on the type of options you prefer to use for your trades. Minimum investment whilst trading Classical Binary Options is equal to $20, Turbo Options can be bought for as low as $5 and One Touch options has minimum investment of $50. uTrader offers a number of welcome bonuses and usual deposit bonuses, the amount of which depends from your investment. uTrader bonus percentage ranges from 30% up to 150%. In addition to deposit bonuses uTrader constantly has some competitions or other promotions where prize fund can be as big as $30,000. At the moment, you can choose between deposit bonuses and risk-free trades. Deposit bonuses have their own terms and conditions, whereas if you use a risk-free trade and win, then money will be 100% yours, which is a better option than wagering a bonus. Also, you can subscribe and receive special signals from uTrader analysts who promise clients to get up to 71% profit by using their signals. You can contact uTrader technical support by phone, live chat, Skype or send an email to support@utrader.com. Usually, there is a personal manager who is attached to each trader who will be happy to answer all of year questions, so read your emails carefully. With such kind of personal approach uTrader can only leave good impression about their service quality. Not only is the support impressive but there are no problems with deposits or withdrawals which don’t take more than three days. Depending on your account type you might be eligible for personal analyst who will review your investment portfolio and will give you some tips on your trading strategy. There are more than 10 professional financial analysts with different background who work for uTrader, making sure company is able to provide strong advices in all aspect of the financial trading. uTrader is the most experienced and one of the oldest binary options brokers on the market. A unique approach in working with clients enables uTrader to provide high quality service, as well as presence of industry professionals in the company which allows the broker to provide high quality market analysis and training materials for all of its customers. If you are an experienced binary options or Forex trader, you should write to the manager asking for VIP type of account, you won’t regret that choice (you get what you pay for). The minimum deposit is $200 and the minimum option price is $20 – which is below average in binary options industry, thus you can trade using the world’s best platform with less investment than uTrader competitors. I see more pros than cons of my broker Utrader. Pros: a well-functioning convenient platform, many trading instruments, presence of analytics, rapid funds withdrawal. It’s easy to register there and verification goes without any problems. Absence of a demo account is the only con that I’ll mention. But that is not such a critical drawback actually. 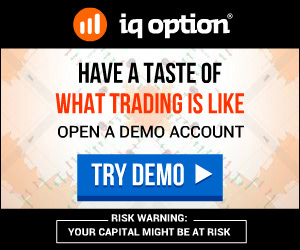 I trade successfully there and have no reason to change the broker. Everything’s fine in general. There are questions about the closing price of an option at the expiration of the expiration time, especially when the rate is not far from the opening price of the order, but this happens only on short options. In general, if you are not greedy and don’t save on time, the results usually don’t disappoint. Utrader is a regular broker, and I haven’t expected any miracles from it. The main thing is that it operates within the framework of the agreement and the return on assets is quite high. The return may change during the day, though, but it the same with other brokers as well. As I said, it’s a regular broker. But most importantly, it’s honest. I’ve been trading with Utrader for 4 years and then I withdrew money and left the stock market forever for private business. I’ve never had any problems with the broker, but with the market itself I have real troubles. The case is that the world crisis is coming, and because of this, companies’ shares, in which I have invested hard earned money over the years, nuzzle into the mud. I lost 16% of last year’s capital in the last year of trading and quietly peacefully dumped it))) But the broker is excellent. An A!